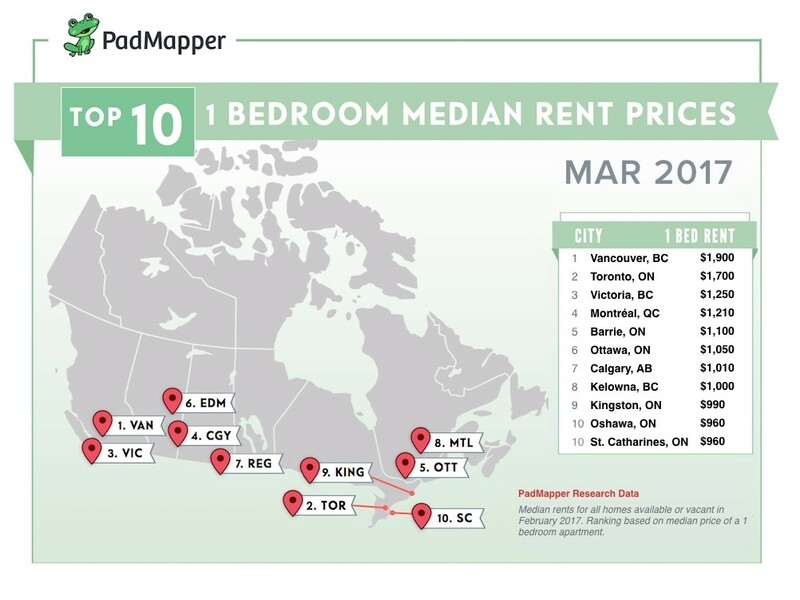 Vancouver remains the priciest city in Canada to rent an apartment, but it’s Toronto and its surroundings that are seeing the largest spike in rental prices, according to the latest Padmapper report. The rental listings site's data shows the average price of a one-bedroom in Vancouver remained at $1,900 this month, while two-bedroom units stayed steady at $3,130. But the real story seems to be southern Ontario, where rents are rising as skyrocketing house prices force some would-be buyers to keep renting. The average one-bedroom apartment jumped 4.9 per cent in Toronto to $1,700, with two-bedroom units averaging $2,160. But as Toronto’s housing mania spreads to surrounding regions, rental rates are following. 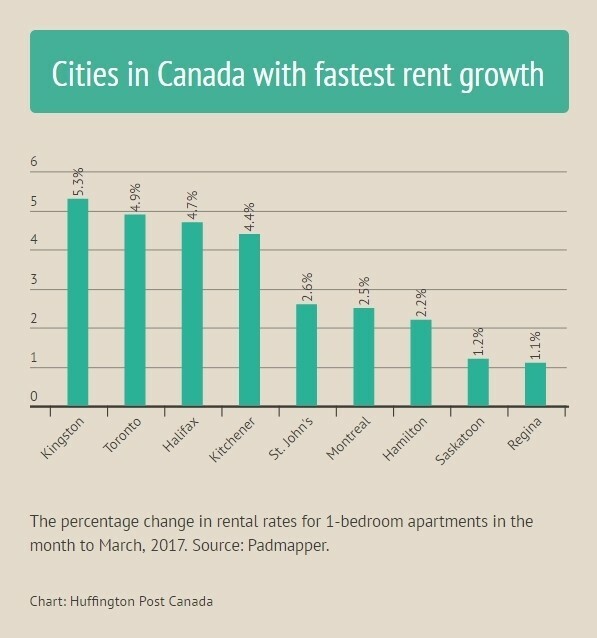 Kingston, Ont., saw the strongest rental rate growth of any Canadian city this month, while Barrie, Ont., climbed into the top 5 most expensive housing markets for the first time ever. 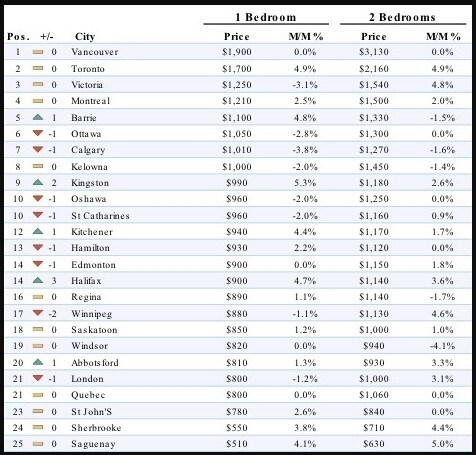 Here is Padmapper's chart of where rental rates are rising falling across Canada.